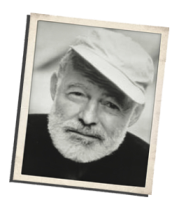 Want to know what people thought of Hemingway’s “The Old Man and the Sea” a month after its release? Need to know what 18th century critics thought of Shakespeare’s play “As You Like It” a hundred years after its first performance? Then Gale’s Literature Criticism Online is the perfect starting point for your research. “Gale literary references, taken together as print, could fill 230 feet of shelf space! But now, hundreds of volumes are digitized and ready to read with Literature Criticism Online. “The net result is tens of thousands of hard-to-find essays at your fingertips. It’s all designed to raise the level of research while providing the around-the-clock remote access that today’s researchers demand. The online version is a scanned database of all the print pages and utilizes a modern, comprehensive search engine to find every mention of a particular author, title/work or keyword. The advanced search function allows users to search using Boolean search terms and has options that allow users to search all collections or choose a specific sub-collection. Gale Publishing adds a new author entry to their books whenever enough new pieces of criticism from the author’s lifetime are discovered. The online search function, in addition, allows users to easily search through these multiple volumes for entries on the same author or title, saving researchers hours of print volume cross-indexing. It also allows users to list results in ascending or descending in order to access the oldest or newest items in the series. Once they choose a particular author or title entry, users can click on the “Inside this Entry” link to see all the critics and/or reviewers who contributed essays for that particular topic. This feature allows researchers to locate and compare reviews by the same scholar over a period of time or identify entries by well-known critics or other authors of that time period. 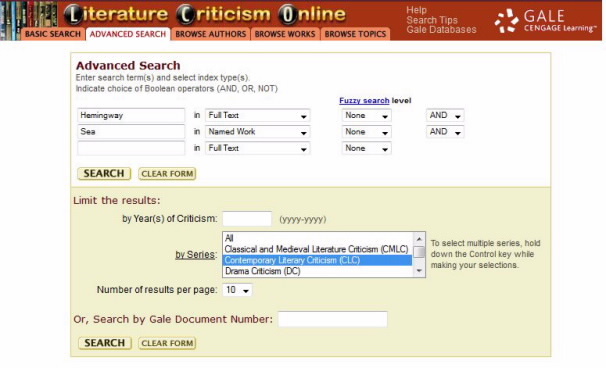 The Literature Criticism Online database is especially useful to researchers who wish to quickly and efficiently plot the changes in attitudes and perceptions about a particular author by his or her fans over an extended period of time. The database is not restricted to authors of literature; notables in the fields of philosophy, theology and other humanities, such as Derrida, Kant and Lacan, are well represented and have full sections alongside Hemingway, Shakespeare and Plath. While the scanned pages are of very good quality, users may need to use the dropdown menu at the bottom of each viewing page to increase the page scale size from the default 25% up to 33% or 50% for easier reading. Although the partial essays and brevity of many of the entries may not satisfy the stringent scholarly requirements of graduate or doctoral students, the scope of the essays and the breadth of coverage make Gale’s Literature Criticism Online a valuable, time-saving resource for undergraduates or advanced researchers looking for a good overview of an author and the critical opinions of his or her following. 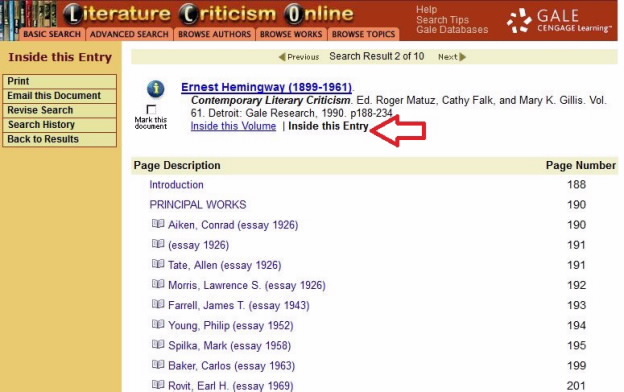 Literature Criticism Online can be accessed here or via the Databases A-Z list located on the bottom left corner of the on the Falvey Memorial Library’s homepage. Questions or comments? Contact me directly at robert.leblanc@villanova.edu or post your online comments below. Rob LeBlanc is first-year experience & humanities librarian.